More than ever, technology is making business more productive (and profitable); better reaching out to customers, interacting with staff, recruiting and hiring new employees. Social media platforms are now an indispensable tool to seek out and evaluate job applicants. However, it does not stop there— public internet profiles and postings of both prospective and current employee and postings are under investigation. Considering the rapid pace social media, many organizations are still seeking out the limits of using social media platforms as part of a background checks. Every day, courts and governments seek new precedents, hammering out a line between what is valid—and what goes too far. Currently, much of the information on Facebook, Twitter and LinkedIn are publicly available, so reviewing social media sites is legal, as long as a hiring decision is not discriminatory. Earlier, the Associated Press reported on an interesting trend; employers are not only reviewing publicly accessible profiles, but also asking candidates to disclose usernames and passwords. This has become a grey area of legality, since this information allows access to area of websites designated as “private,” or otherwise has limited access. The Department of Public Safety and Correctional Services in Maryland asked an employee for his Facebook login and password. This employee had taken a leave of absence and wanted to return. The request was part of conditions of reinstatement. A New York statistician was next asked for his Facebook login information, after answering some questions about his character. The requested information was because the interviewer was not able to access the statistician’s personal profile. In Illinois, a sheriff’s office had been requesting applicants to sign into social media as a part of the screening process. This had been part of the hiring procedure since 2006. The City of Bozeman, Montana, asked job applicants not only for passwords, but also for access to other personal online accounts, such as email. In each one of these cases, those defending the practice of reviewing of private websites say it was an essential safeguard of the safety of the employer. The employer’s position was that information posted on the internet is never actually “private,” especially on public and international forums. As a result of this increasing trend of using social media for background checks, two Senators called for the U.S. Department of Justice, as well as the Equal Employment Opportunity Commission (EEOC) to look into the practice, and if it violates federal law. “Employers have no right to ask job applicants for their house keys or to read their diaries” they should not be able to access private social media websites. 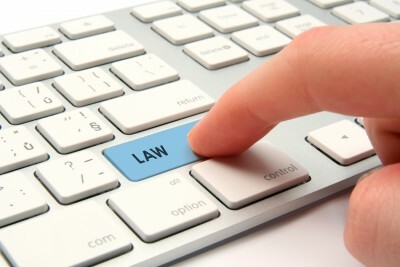 Allowing an employer access to personal social media websites also gives them access to private, protected information. In the past, using that kind of confidential information is disallowed to be part of a hiring decision. Private information such as age, religion, marriage and pregnancy status, was used in the past to discriminate against otherwise qualified applicants. Soon afterwards, both Maryland and Illinois passed legislation making it unlawful for employers to force employees or applicants from divulging social networking user names and passwords. Delaware also passed a law making it illegal for public or nonpublic educational institutions to require students to report password or account information for social networking websites. Similar bills are progressing in California, Michigan, New Jersey, Washington, New York, and Minnesota. At the federal level, the Senate recently introduced SNOPA—the Social Networking Online Protection Act. If passed, companies would be prohibited from asking current or prospective employees for passwords to social networking sites. How will these laws affect employers? So far, only Maryland and Illinois restrict employers from asking for the candidate’s password and login information to access social media websites. With increasing calls for federal and state regulations, employers and academic institutions can expect to see this practice extensively banned. Even without social media access laws, employers should be careful in looking over “private” websites such as Facebook pages and Twitter feeds. It could subject employers to charges of invasion of privacy; unreasonable search and seizure claims; and employment discrimination. Using private social media websites, especially with information related to religion, age, or marital status, employers may be crossing the line, especially if it results in an adverse employment action. In this new environment, activities like those can be easily challenged, becoming a significant problem for employers and human resources departments all across the U.S.
OPINION: Are employers entitled to ask interview candidates for their social network passwords?